One of my favourite Christmas songs! It makes me feel toasty warm when i listen to it from inside my home looking out the window at the "frightful" weather as the song suggests. 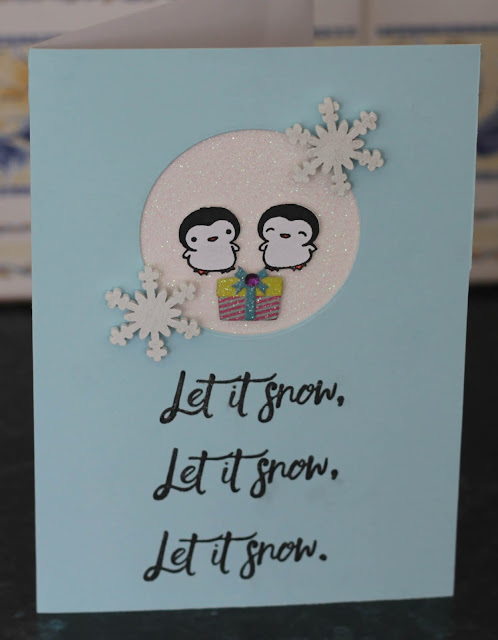 It features two little cute penguins sharing a gift in their snowy habitat! 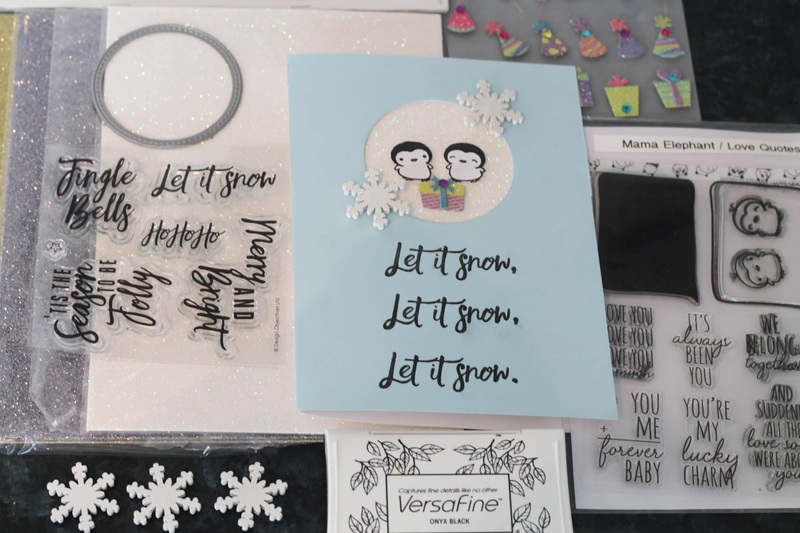 I thought about creating a cool shaker card using acetate and sequins with these little penguins inside to mimic snowfall. However, I just couldn't resist the glitter cardstock, which i think really makes the penguins stand out. Cardstock - I used some pale blue cardstock that I had lying around and stuck it to the front of a piece of A4 240gsm white cardstock which i folded in half to make the card itself. Some of the supplies may not be on the websites as some supplies i bought from in store. This was the case for The Range, Poundland and Home Bargains. I really hope you like the card design. I am really looking forward to Christmas and making a start on my gift tags and cards. Christmas is my favourite time of year. Thank you for your kind words Esther! Aw, how sweet. That's the song I've got in my head recently too (now that it's gotten cold here!). Love your little birdies. Thank you for your comment, i cant get that song out my head at all now! but it is the season!